Sir: Matthew Olex-Szczytowski argues that the German officers who tried to kill Hitler did so only to save Germany from defeat, and were themselves Nazi war criminals (‘An alternative history’, 21 July). He is wrong on both counts. In fact, they tried to overthrow Hitler long before defeat was imminent. The first attempt to assassinate the Führer took place in 1938, one year before the war. The conspirators tried again in 1939 and 1940, when the Nazi regime was still triumphant. Many of them joined the movement in order to oppose Hitler’s genocidal policies. Their resistance to the Holocaust and the crimes against Poles and Russians is documented in wartime diaries, postwar testimonies, Gestapo documents and Soviet interrogation transcripts. Claus von Stauffenberg, the would-be assassin of Hitler, said in 1942 that ‘they are shooting Jews in masses. These crimes must not be allowed to continue.’ Germany could not and should not win the war, he thought, because that would allow Hitler to continue murdering Jews and committing other horrors. On 20 July 1944, during their abortive coup d’état, the conspirators ordered the district commanders to occupy all concentration camps, disarm the guards and prepare the prisoners for liberation. The Wehrmacht was deeply complicit in war crimes, and even the conspirators could not evade responsibility. Sometimes they had to obey criminal orders. And yet they sacrificed their lives in an attempt to kill Hitler, stop the war and save all victims. Germany and the world should cherish their memory. Sir: Matthew Parris argues that the notice period for leaving the EU should be extended beyond March 2019 by agreement, as is legally possible (‘We can delay Brexit — and we must’, 21 July). Is that not just prolonging the agony? One suspects that what Parris hopes is not that extending the negotiating period will produce better exit terms for Britain, but that it will prevent Brexit from happening at all. As a Remain voter in 2016, it took me 24 hours to come to terms with the fact that our side lost. Parris and co are still sulking after more than 24 months. If called on to vote in an entirely inappropriate second referendum, I would vote Brexit to preserve some semblance of democracy in this country. Sir: As someone with a diagnosis of dementia, I’d like to put forward my response to Dot Wordsworth’s column in which she questioned the use of the phrase ‘Living with’ (‘Mind your language, 21 July). Due to the stigma associated with a diagnosis of dementia — of which Alzheimer’s is one of many — the only language we hear is negative: ‘suffering’, ‘senile’, ‘loss’. If that is all we hear, is it any wonder so many people fall into the depths of depression when diagnosed? There is no cure, nothing can make us better. We know it’s a nasty diagnosis — but we don’t need to be continually reminded of that fact. I don’t dwell on what I’ve lost or can no longer do. Instead I concentrate on living with what I can still do, adapting and finding new ways to outmanoeuvre dementia. I don’t dwell on the future, as I have no control on the inevitable end, so I enjoy today. Dementia may be terminal, but then so is life. It makes it so much easier to live with dementia if people stop using negative language. 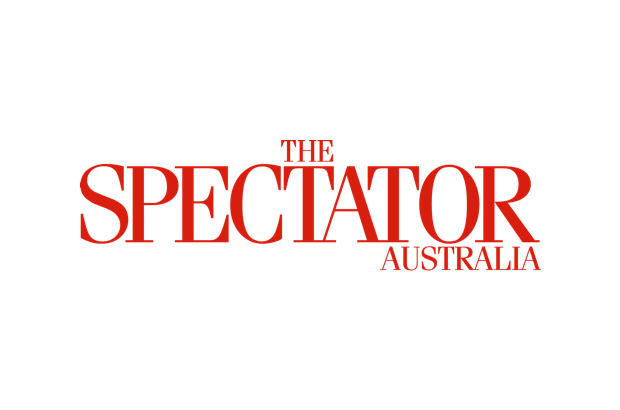 Sir: Jocelyn Magnas asks why The Spectator comes wrapped in plastic (Letters, 21 July). An electronic subscription avoids plastic, paper, ink, staples, printing, distribution and (eventually) waste disposal. Sir: Kate Chisholm’s article ‘Profit and loss’ (Radio, 21 July) misunderstands the difference between BBC in-house radio production and BBC Studios when she worried about the ‘marketisation’ of BBC radio. The former is funded by the licence fee, is not profit-driven and currently produces over 80 per cent of BBC Radio programmes; BBC Studios is a commercial entity owned by the BBC, operating in the same market as other independents. Both independents and BBC Studios compete with in-house production to make programmes for BBC Radio. This ensures that the best ideas get on air, creates opportunities for the commercial sector, and delivers value for money to UK audiences. And it works. Just a Minute is made by BBC Studios; Composer of the Week by in-house productions, and Gardeners’ Question Time by an independent company. Our focus will always be on delivering the best programmes for audiences regardless of who makes them, while helping maintain both a thriving independent sector and a strong BBC production base. Opening up our schedules to competition will help achieve that. Sir: What sense from Colin Brazier with regards to funerals (‘Last rights’, 21 July). I deplore this modern trend of ‘celebrating the life of…’ and I have told my family in no uncertain terms that when it’s my turn, I’m having a funeral, not a celebration, whatever they may feel. Tears (I hope), flowers, black clothes and so on. They can have a celebratory ‘wake’ afterwards at my expense if they wish, but please see me off with dignity and respect.